I have been sharing a weekly reading photo of the week each week. This week I had lots to choose from! My final choice is of students talking picture books with each other during Reading Workshop. Fantastic engagement! Fred certainly needs some help getting to bed. But what a wonderful adventure in avoidance. Fred is delightful in all of his energy and mess. Oh this little penguin. He is persistent. Daring. Charming. Purely irresistible. 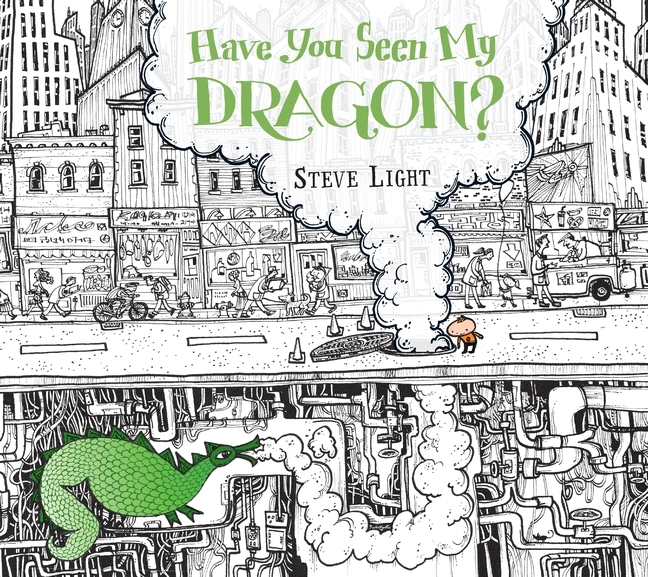 A visual adventure in search of a dragon – along the way notice and count numerous other things in the city. This is a must have for my buddy reading collection. Love the black and white images and the bright colours of what we are counting. Delightful! Such interesting details about how the first ferris wheel came to be – from brilliant idea to the real thing in all of its glory. 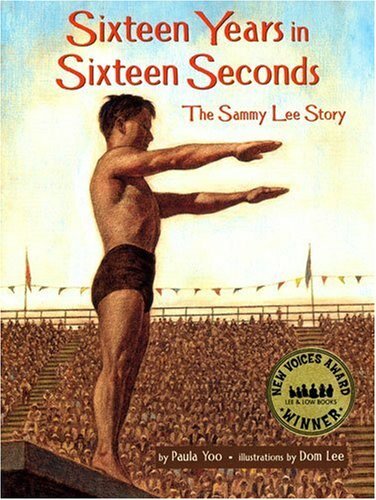 This is a powerful biography about Sammy Lee, a Korean American who faced discrimination and various challenges on his journey to Olympic gold. Pressure from his father, limited access to public pools (because non white patrons could only use the pool once a week) and training in a sandpit were all part of Lee’s journey. A true story of dedication and determination. 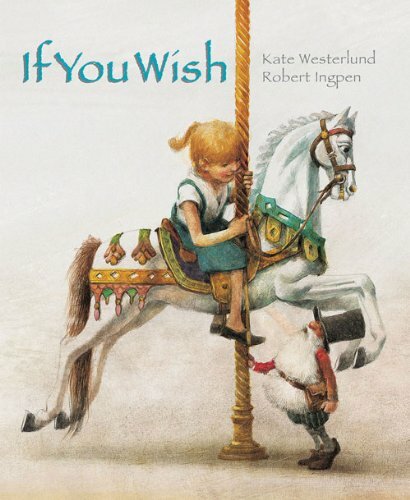 If You Wish written by Kate Westerlund and illustrated by Robert Ingpen. My students’ reviews of this title can be found on our classroom blog. Turns out to be a wonderful writing prompt! A story celebrating imagination. 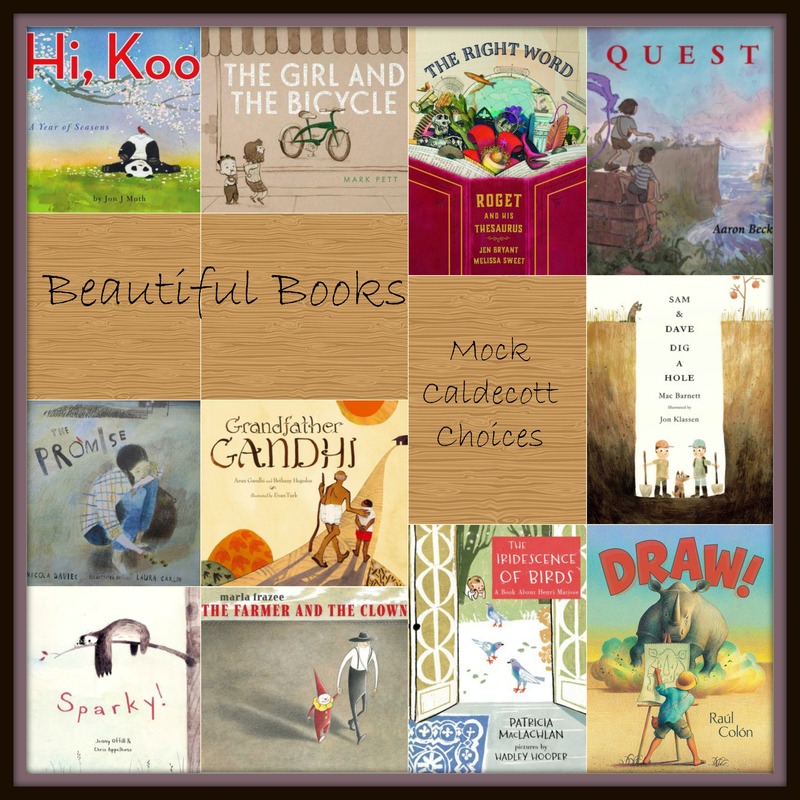 Speaking of picture books, I also shared the eleven titles on our Mock Caldecott list. Can’t wait to dive into more of these with my students this week! So very unique. I know this will become an adored part of our graphic collection. Smith writes such incredible young male characters. Likeable, honest, and vulnerable. They are stubborn. Questioning. At times, obnoxious. Navigating the challenges of teeenage times. Boys who don’t need to be perfect. Who are figuring it out. Who get much of it wrong but some of it really right. This entry was posted in It's Monday What are you reading? and tagged Andrew Smith, Dom Lee, fiction, Gilbert Ford, John Lechner, Kate Westerlund, Kathryn Gibbs Davis, Lita Judge, Monday reads, Paula Yoo, picture books, Robert Ingpen., Steve Light, Yasmeen Ismail, young adult selections by carriegelson. Bookmark the permalink. 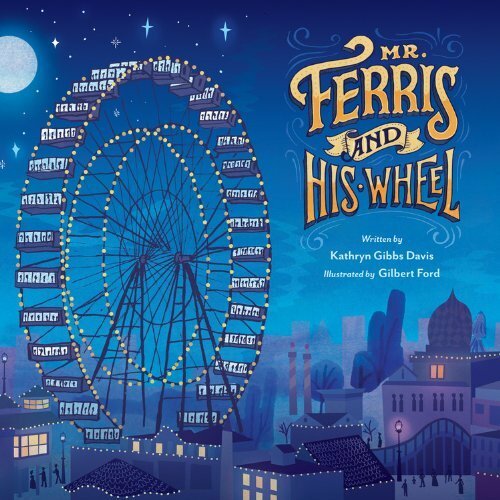 I really want to read Mr. Ferris and His Wheel. I think I need to move it to the top of my to read pile. Sticky Burr does linger long when it is on my library shelf. Thanks for sharing. Mr. Ferris and his Wheel is certainly inspirational! I think kids will be fascinated to see how this wheel was actually built. Thanks Debbie – I enjoy sharing these photos every week. My reading is so connected to the reading that my students do! Sticky Burr is so very fun! Yeah! So glad to see some picture books we haven’t read in our house yet! We had a delayed opening this morning and we would typically snuggle in for some picture book reading but somehow our library bag was sadly ‘picture book free’. Going to request the ones we haven’t read yet right now! Happy picture book reading! I still love sharing picture books with my children and they are 12! So many great ones. I’ve put the Andrew Smith title on hold. (Have to be ready for Serendipity) Isn’t Sticky Burr lovely? I think it was one of the first graphic books I got for our younger readers. (Thanks to Tim at the Comic Shop) I loved the kids reviews of If You Wish. Thanks for checking out their reviews. I think they are doing such a great job using these titles as a springboard for more writing! So excited to see Andrew Smith at Serendipity! I know many little cherubs who would love Have You Seen My Dragon? You’re right, it would be perfect for buddy reading. 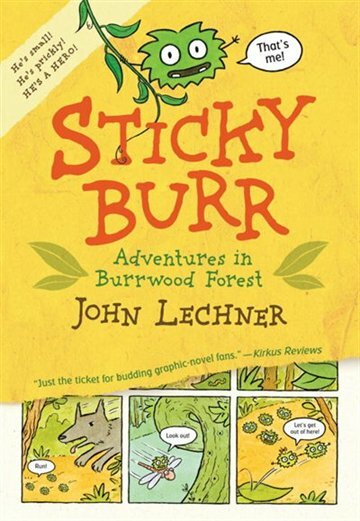 Sticky Burr looks amazing, presenting it as a graphic novel adds so much character, I will definitely be looking out for it! It’s a lot of fun for the graphic collection. Wonderfully odd! Oh, my! Such a great list of books. I have just added so many to my TBR list. Mr. Ferris and His Wheel looks absolutely fascinating. I also will be looking for Sticky Burr. We love graphic novels in my classroom. This is a really sweet and quirky graphic and really accessible to so many readers! Glad you found some titles of interest. 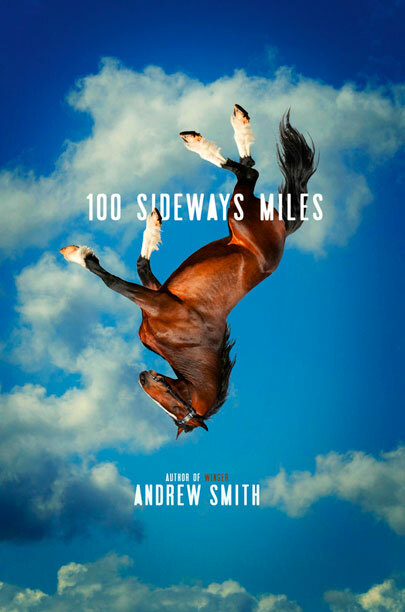 100 Sideways Miles looks interesting — this is the first that I’ve seen of it, so thank you! I am a big fan of Andrew Smith so was very excited to read this title. It’s a great one! Wow, what a great list! I love the look of the Dragon book and think my kids will too. 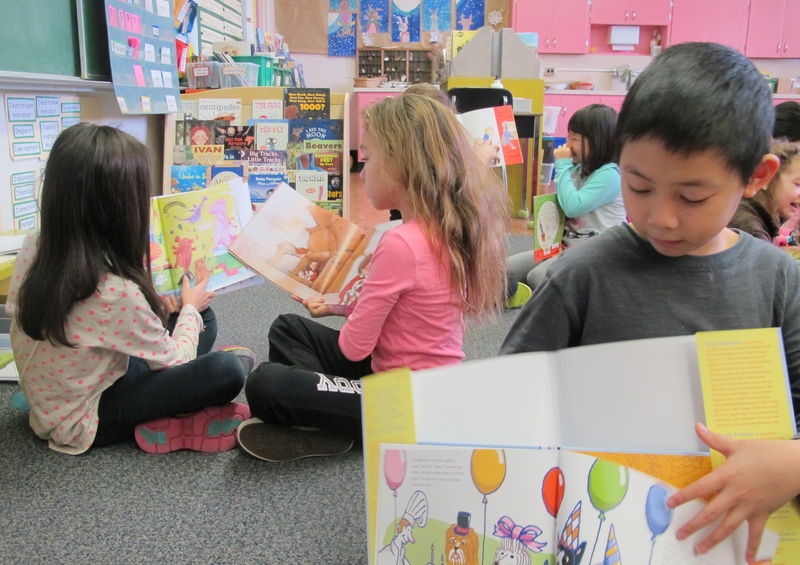 Can’t wait to hear how your mock Caldecott turns out – we just started introducing books last week. I am so excited about this process. Children out on the playground today after school talking books and favourites. Lots of buzz! Loved Flight School and Have You Seen My Dragon. Sixteen Years in Sixteen Seconds definitely looks like something I need to read. It’s a really great biography. Hope you can find it. 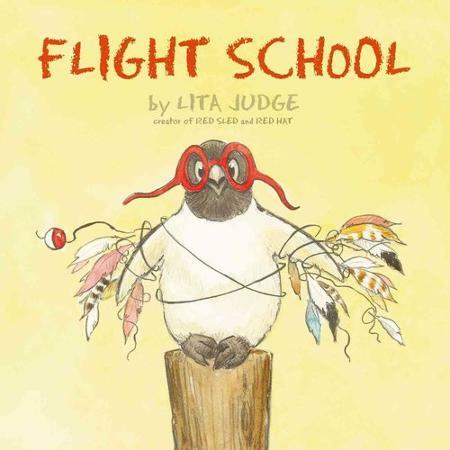 Flight School is a favorite-so cute and funny. I like the look and sound of 100 Sideways Miles, Carrie. Will keep it in mind. Lots of good books here, and in your Mock Caldedott list. Thanks! I am so very excited about this Caldecott process. My students are thrilled about it! Flight School really is adorable. Andrew Smith’s characters obnoxious? No! Haha. I always find his boys to be so realistic. You can tell he is a teacher! This book is on my TBR list. I have only read three of his books, so I need to get cracking! Obnoxious in the best of ways – only at times, like teenagers can be! I love his characters! A pleasure Michele. I love when my students are able to take an idea from a story and run with it – all of them together being creative and sharing creates such great energy. Flight School made me smile. Truly adorable. I want to learn more about Mr. Ferris and His Wheel. I bought the book, but haven’t read it yet. 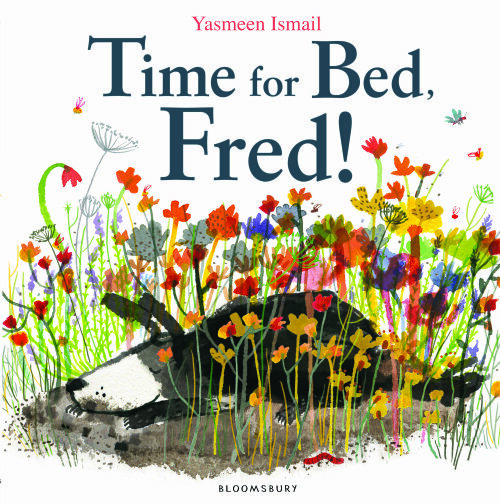 I think it would be a great book to read before some imaginative building and design activities – drawing, structures, etc. Many here I know – but love the look of 16 Years in 16 Seconds. I’ve heard a bit about Sticky Burr but have not read it yet. Love Dragon, Flight School and just read Mr. Ferris – fascinating! 100 sideways miles looks PERFECT for my teenagers at home! Thanks for sharing! Oh yes, perfect. Andrew Smith is the ideal author for boys. Girls too, but when you are looking for boys, ideal! Winger is one of my favourite titles. I am so embarrassed that most of these are new to me. I’m going to have to get myself to the library soon! Some are pretty new! Always so many books and libraries are the best place to visit. Enjoy! You are right about Andrew Smith- absolutely fearless! Ingpen creates such beautiful illustrations, doesn’t he? So many on this list that I’m eager to read! I resolved to buy no more books until March–and then promptly bought 3. My husband laughed as he brought the Amazon book inside. As far as addictions go, this one is fairly harmless, right? I don’t know Robert Ingpen’s work but will have to look for some of his books–that’s a gorgeous cover! Absolutely harmless! 🙂 My no buy resolutions don’t last long either. What can we do . . . ? You sure come up with some good lists!! The book about the young diver is new to me and looks intriguing. And that Sticky Burr!!! Thanks for sharing all the fun! It was a great reading week! Glad you found some new to you titles!